We have finally been given government’s blueprint for how it plans to marry the private and public health sectors – the NHI White Paper. But many areas are fuzzy, particularly how it will persuade private doctors to work in a system that is likely to mean more work and less pay. KERRY CULLINAN from HEALTH-E reports. The launch of the much-delayed National Health Insurance (NHI) White Paper – the most radical health reform in South Africa’s history – was rather shambolic. It happened on Friday, tagged onto the end of the post-Cabinet briefing in which an irritable Jeff Radebe dodged questions about the removal of Finance Minister, Nhlanhla Nene. The video link between Pretoria and Cape Town had technical problems. The Director-General of Health was out of the country. 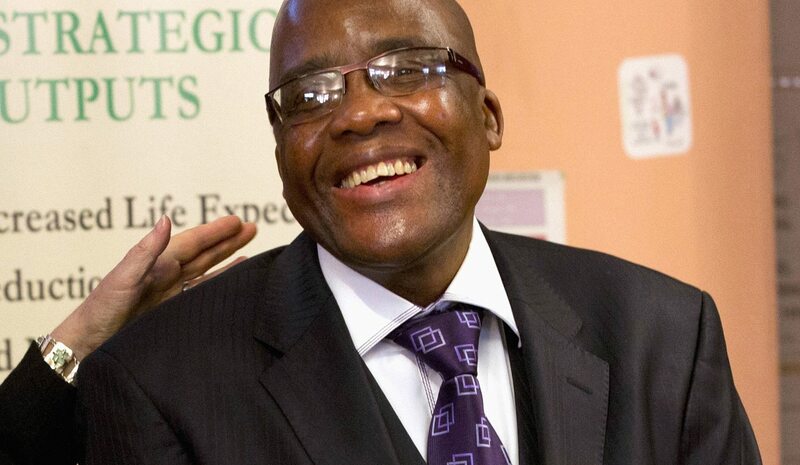 Yet Health Minister, Dr Aaron Motsoaledi, soldiered valiantly on, presenting a plan that aims for all South Africans to be treated according to their health needs, and not their bank balances. Morally, there can be no argument against a fair and equitable health service. Accident victim Mrs A should not die while waiting at her clinic for a doctor who does not come, while Mrs B can go to a specialist when she has a cold simply because Mrs A has no medical aid and Mrs B does. But, in reality, marrying the two systems is going to be extremely hard, and will require buy-in from a wide variety of people who are not used to working together. The case for how this is to happen is not evident in the White Paper, which is a maze of financing models and unknowns. In a nutshell, a central NHI Fund, financed by compulsory contributions from all citizens and permanent residents (and other rather vague means), will “buy” a basket of health services from accredited public and private health institutions, and private health practitioners. All citizens and permanent residents will be able to access these without further payment. Private medical schemes will only be allowed to offer “complementary services” not provided by the NHI. This suggests that the view of Cosatu and the SA Communist Party – that private medical aids should do little more than cover things like cosmetic surgery – has held sway in this, the 40th version of the White Paper. Yesterday, the Democratic Alliance’s Wilmot James condemned the White Paper as “a breathtaking‚ high-handed and dangerous effort to socially re-engineer our dysfunctional health system (that could) could easily compromise rather than enhance the access citizens have to healthcare in our country”. There is no denying that the NHI’s intention is noble, but there are still big, fuzzy areas related to implementation. If government cannot get support from the private health sector – particularly the scarce specialists – our entire health system may be weakened as they leave for greener pastures. However, no-one can say that the current system is neither fair nor just. Nocawa Dail died a few months back in Bongani Hospital in Welkom in the Free State after waiting for four days for a doctor to remove her dead baby. Hours after her almost full-term baby was finally removed, 21-year-old Dail bled to death. Yet in the same town, a woman on a private medical aid has easy access to a gynaecologist, even when she does not need specialist attention. Medical aid contributions take a substantial chunk out of many middle class household budgets, and the costs of private providers often are often excessive. Yet it is precisely the horror stories like Dail’s that makes the average medical aid member keep paying expensive premiums. No one wants to be in Dail’s position – in desperate need of urgent care, yet kept waiting for so long because of a shortage of doctors, that you die. The White Paper stresses that all institutions and health practitioners will have to be accredited to treat patients. Institutions will be inspected by the Office of Health Standards Compliance (OHSC), based on set criteria including infection control, patient safety and staff attitudes. Only those that are accredited by the OHSC will get money from the NHI Fund, which means that all employees will need to pull their weight, otherwise their clinics and hospitals won’t get budgets and won’t be able to pay their salaries. Under this system, perhaps Bongani Hospital, where Dail died, would fail to get accreditation – but would that mean that other hospitals in Welkom could cope with its patient load? What happens if the only hospital in a rural area fails to get accreditation? All NHI providers will get contracts which will set out “performance expectations in respect of: patient management; patient volumes; quality of services delivered; adherence to clinical protocols and treatment guidelines and improved access to health services”, according to the White Paper. Institutions will not simply be paid “fees for service,” because this does not ensure good quality of care or address health outcomes. Instead, payment will be linked to health outcomes, but the definition of these is vague, too vague probably to save Dail’s life. Everyone will have to start treatment at primary healthcare clinics, which will be a big adjustment for medical aid members who can just go straight to specialists if they want to. Access to specialists will be rationed to those that need it. Since 2012, 10 NHI pilot districts have been working on ways to improve primary healthcare, and they have made some headway. But while progress has been made, huge weaknesses have also been unmasked. Attempts to contract private doctors to work in government clinics, for example, have failed in a number of districts because of the poor working conditions. In Gert Sibande district in Mpumalanga, doctors reported anonymously that equipment was broken or missing, patient files were a mess and there was no district leadership to support them. “At the moment we have no drips at this clinic, meaning if a patient can come in here bleeding I won’t be able to help them,” said one doctor, who quit working for the district because it was impossible to give proper care. Meanwhile, in Umzinyathi district in KwaZulu-Natal officials, many GPs felt that the R381 hourly rate being offered by the Department was too low so declined to work in the public sector. It is hard to imagine how specialists, often in short supply even in public health, will be persuaded to work harder for less in a single health system – particularly if they are used to a certain income level. A few months back, Professor Alex van der Heever from the School of Public and Development Management at Wits University called on government to restructure governance, and boost primary healthcare services before introducing the NHI. “The government needs to start working from the bottom up. Right now they think that by centralising everything all the problems are resolved, but they are wrong,” he said, adding that if local clinics and hospitals were not empowered to take their own decisions, everything would fail.